Hands examination, i.e. 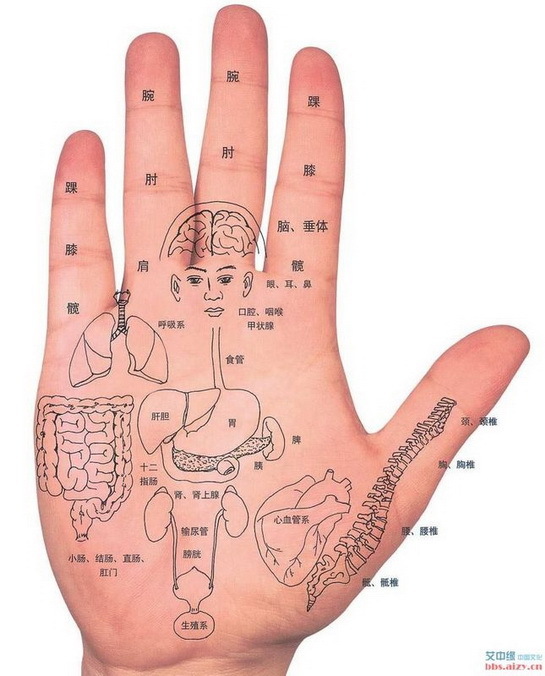 by following human hands lines, changes, patterns, the doctor make out his conclusion. By using of senses as visual sense, tactile sensation, observing on the hands can help doctor understand the body health or disease status. Hands examination mainly refers to the inspection of the hands which been divided into the complexion, hand lines and chirality. These three can also be combined to work out the conclusion. Then there comes out the hands examination. The human body is a unified whole, when some organs got hurt, the palm of the hand will show signs. For years of efforts on analysis and summary, Chinese medicine experts worked out some benchmarks. 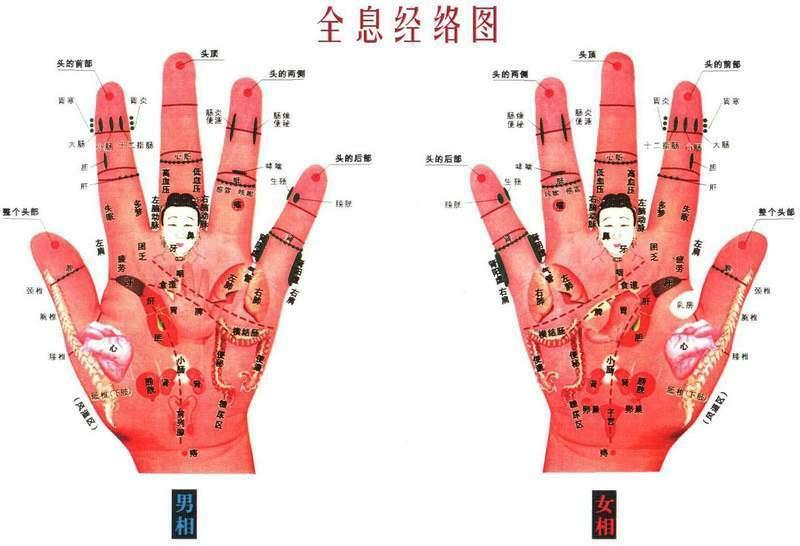 This is a Chinese manipulation with visual sense, tactile sensation, observation on hand, chirality, nail, fingerprint, palm lines, color and hardness and so on, taking measures as observe, touch, press, pinch so as to understand the human condition. It is a special treatment to apply with appropriate physical means to stimulate the corresponding position to adjust the body health status. 1, To observe the hand lines, such as the lifeline and so on. 2, Chirality: To study of palm, finger, nails, etc. 3, Second metacarpal bone: This means that Second metacarpal bone represents parts of the human body, according to the pain on different positions the doctor would tell the health status. 4, Complexion therapies: This method is based on hand complexions as the main grounds. Different from the western medicine utilizing technologies as X machine, ECG machine, CT, MRI and other equipments to understand the disease, TCM has its own methods, although they are unable to see human organs, but the reaction zones have the same regularity, and the reaction zone is "position". The color lies on the surface of the pain position and have five colors to present, each representing a different pathologies: white -- representative inflammation; red -- severe inflammation or blood spot; blue -- poor circulation; brown -- representation chronic disease; black -- that critically illness. The observation of complexion, color, shape. Complexion is an indicator of men’s comprehensive performance, representing the immunity standard. If The complexion appears red, then the body is within normal standard with quite well physical function; If it is dark or haggard, then it indicates that the body is under low immunity; If the redness is beyond the normal standard, then it is referring that the body may suffering from high blood fat, blood sugar and blood viscosity.